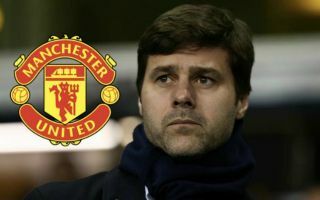 Jose Mourinho’s time at Old Trafford seems to be drawing to a close and Tottenham’s Mauricio Pochettino is one of the favourites to replace him. United are severely lacking an identity on the pitch these days, with Mourinho seemingly still unsure on his best XI and player power undermining his efforts behind the scenes, as results have taken a turn for the worst. The Red Devils are 8th in the Premier League after ten matches, having only won half of their fixtures, which has seen them drop nine points behind arch-rivals Liverpool and Manchester City at the top of the table. A title challenge seems beyond Mourinho’s men at this stage, despite a return to winning ways against Everton on Sunday, as the Portuguese boss clings to his job by the skin of his teeth with the January transfer window just two months away. Should he last that long, the opportunity to bring in reinforcements could ultimately see him through to the end of the current campaign, but if the team cannot string together a meaningful sequence of wins between now an then, there is a high chance he will be forced out of Manchester prematurely. The question the United board must answer is, who is the right man to succeed Mourinho? After two and a half years of uninspired, tepid football and mediocre rewards, supporters would be reluctant to see another pragmatic, defensive-minded coach installed to steady the ship, such as Antonio Conte or Diego Simeone. Instead, front-runners for the top job at the Theatre of Dreams Zinedine Zidane and Mauricio Pochettino would probably be the most well received, particularly the latter, who has turned Tottenham into a top-four club with a fluid, attack-minded philosophy on a limited budget. According to the Daily Telegraph, a number of Spurs stars are worried that Pochettino may be looking for a way out of North London, as the Argentine boss has reportedly grown frustrated at the constant setbacks with the club’s new stadium and the team’s lack of a killer instinct in big matches, which can be attributed to a lack of investment in the transfer market. The Independent have also recently suggested Pochettino is the preferred candidate to replace Mourinho amid his struggles this season, and that makes sense as a step forward towards a manager who can build something for the long-term, in direct contrast to the short-term-minded Mourinho, who has a worrying recent record of delivering quick success before his methods run dry. CaughtOffside has compiled a list of four ins and outs Pochettino should consider if he takes over at United in the near future, with a heavy emphasis on bringing his best charges from Tottenham with him.. The Belgian striker has been one of United’s biggest under-performers so far this term, scoring just four goals in all competitions despite being virtually ever present up front. At 25 years of age he is approaching the prime years of his career, but lately, his progression has stalled significantly and he has become something of a laughing stock among supporters for his lumbering style and poor ball control, which has ultimately hindered the Red Devils in the final third. Pochettino might be better off cutting his losses with the big man next summer and allowing him a switch to Italy, which would free up funds to bring in a replacement more akin to the ‘United way’. One man who could certainly fill any void left by Lukaku is Harry Kane, who has been consistently one of the best strikers in English football over the past four years, helping Spurs secure a regular place in the Champions League. The England skipper is a traditional centre-forward capable of holding the ball up and driving his team forward, with an eye for goal and a strong presence in the penalty area. The 25-year-old has stated that he hopes to match the exploits of Lionel Messi and Cristiano Ronaldo on the biggest stage one day, meaning he might eventually outgrow Spurs in pursuit of regular silverware with a bigger club. According to the Daily Express, Kane was heavily linked with a move to Old Trafford during the summer and if Pochettino ends up at the helm at the end of the season, he might well follow his coach and open the next chapter of his career in Manchester. The Ivorian defender has endured a nightmare start to the new season, suffering from a lack of confidence on the pitch while seemingly allowing the pressure of expectation to overwhelm him, which has seen him dropped from Mourinho’s starting XI. Since then Bailly has found himself in and out of the team, with Victor Lindelof and Chris Smalling preferred as first choice centre-backs over the last few matches against Chelsea, Juventus and Everton. According to the Express, the United misfit has been linked with a switch to Tottenham or Arsenal in recent weeks and it is unlikely that Pochettino would grant him a stay of execution at Old Trafford given his inept displays under Mourinho and the many options he could have at his disposal in the transfer market. Alderweireld was one of a number of defensive targets for United during the summer, as Mourinho relentlessly pursued a centre-back he felt could lead the team after they finished 19 points behind champions Manchester City in the Premier League. According to Metro Sport, United chief executive Ed Woodward was unwilling to meet Daniel Levy’s £70 million valuation for the Belgian, which scuppered a potential deal, but there is every chance the club could move for him again if Pochettino takes charge. 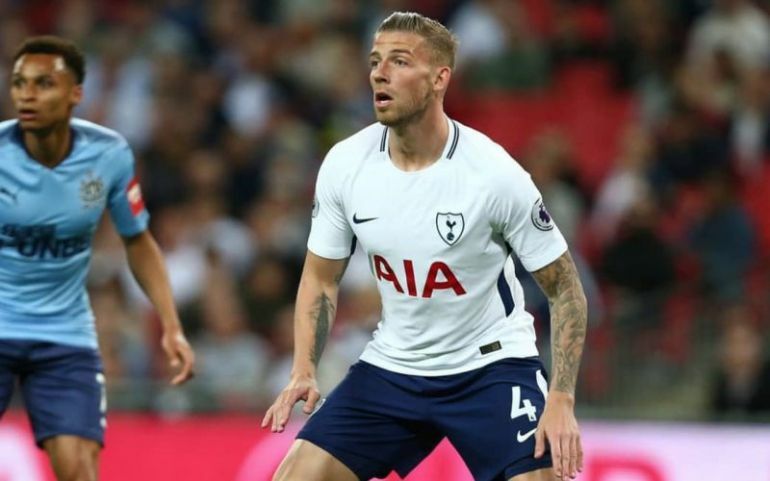 Alderwireld stated he had no desire to leave Spurs during the last transfer window, but it could be a different story next year if he were able to continue working with the Argentine boss in Manchester, which would surely help him integrate into his new surroundings seamlessly. At 29 years of age, the Tottenham star has plenty of experience in English football and in the Champions League, with pace and quality on the ball similar to that of former Red Devils defender Rio Ferdinand, who was widely considered to be one of the best in the business in his heyday. The Spanish playmaker has been one of United’s standout performers in recent weeks, showing his class in the middle of the park as the architect behind the team’s recent upturn in results. However, those kind of performances have sadly been few and far bar between for most of his time at Old Trafford, and at the age of 30 he’s unlikely to improve any time soon. 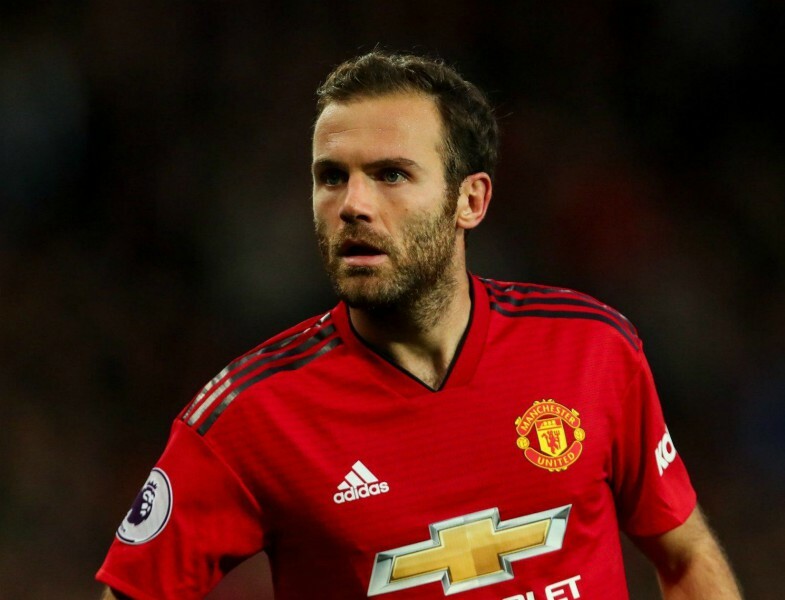 It seems likely that a creative midfielder would be a priority for whoever comes in next, and the club can surely do better than Mata right now. According to the Manchester Evening News, the Spaniard has also been linked with Arsenal next year and he might relish the prospect of linking up with his former Valencia manager Unai Emery in a scenario to suit everyone involved. Should Mata indeed end up leaving, Pochettino could sanction a move for the perfect man to fill his boots – Tottenham and Denmark talisman Christian Eriksen. The 26-year-old is widely considered to be one of the best central midfielders in European football and is probably the most vital member of the current Spurs squad, keeping a cool head in the middle of the park at all times while others around him tend to lose theirs. The Guardian reports that PSG are willing to fork out £100 million for his services, but United have the financial clout to rival a bid on that scale and along with the influence Pochettino could have in a potential deal, Eriksen could well be plying his trade in Manchester at some point in 2019. The Danish superstar has a passing range which is second to none and his delivery from set-pieces is often awe-inspiring, not to mention the fact he is supremely comfortable with the ball at his feet in advanced positions or in the transition, making him the ideal fit for the Red Devils in Mata’s stead. The Chilean winger’s time at Old Trafford has been underwhelming, to say the least, and four goals in 24 matches since his January move from Arsenal reflects his surprising inability to affect proceedings on the pitch over the last 10 months of his career. Sanchez was a magician at the Emirates, a player capable of opening up defences with his superb dribbling skills and clever movement in the final third, not to mention scoring goals from every conceivable angle. Unfortunately for the Red Devils, he has spectacularly failed to match that standard in Manchester and according to the Sun, PSG are ready to offer him a way out at the end of the current campaign. Prior to Sanchez’s arrival at the Theatre of Dreams, Mourinho’s squad actually had a dangerous harmony to it and they were well placed to challenge for silverware on all fronts. The former Gunners hit-man disturbed the peace and the Portuguese tactician has struggled to juggle the attacking stars at his disposal fairly ever since, much to the detriment of the team’s results on the pitch. Last on the list and the only non-Spurs star to make the final cut is Real Madrid defender Raphael Varane, who became a World Cup winner with France over the summer to add to a hugely impressive trophy haul for a player his age. 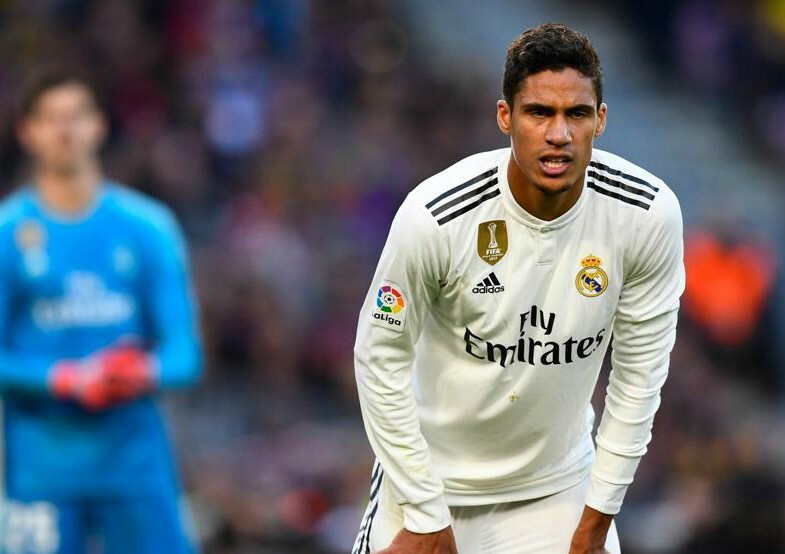 Rather than trying to bring in another mercurial winger to replace Sanchez, Pochettino might be better off focusing on securing the services of one more high-profile centre-back and Varane certainly fits the bill. The 25-year-old has been linked with United before by the Guardian and others, and there’s no doubt he could be an important addition following the struggles of the likes of Chris Smalling, Eric Bailly, Victor Lindelof and Phil Jones. Alderweireld and Varane playing in the heart of the defence for the Red Devils under the stewardship of Pochettino would be a dream scenario for United fans and considering the fact that Los Blancos are in the middle of a mini-crisis of their own, there might never be a better time to try and lure the France international away from Santiago Bernabeu.